Acupuncture is among the oldest healing practices in the world. As part of Chinese medicine, it aims to restore and maintain health through the stimulation of specific points on the body. This has shown to increase blood flow, decrease inflammation, and increase the levels of endorphins and enkephalins circulating in the blood. Endorphins and enkephalins are powerful compounds that are used by the body to decrease pain. 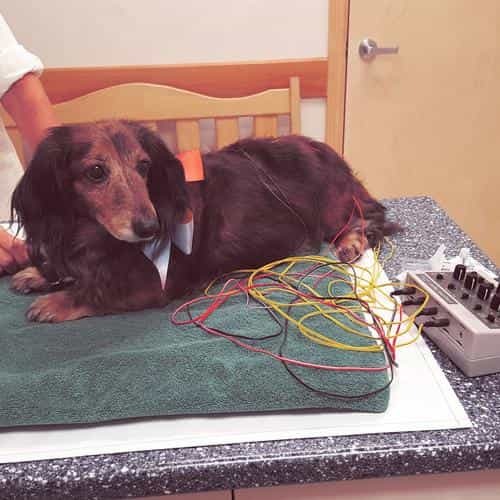 In human and animal patients, research has shown acupuncture to be an effective treatment in pain management and musculoskeletal, gastrointestinal, and neurological disorders. There is ongoing research to explore its effectiveness in other conditions, as well. What will Happen During an Acupuncture Session? 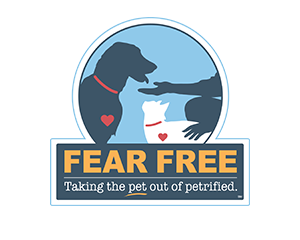 During the first appointment and assessment, the doctor will prescribe a specific plan for your pet. Multiple very small, thin, sterile needles will be inserted into certain points of the body (acupuncture points). Needle insertion is generally well tolerated in most pets. Treatment time will vary depending upon the animal, technique, and condition being treated. Effects of acupuncture are cumulative, and several treatments are necessary for chronic conditions. These treatments are then tapered for maintenance. Treatments cause relaxation. As patients become used to the visits, they appear to enjoy the experience and have been known to nap during the procedure! Here at LVC, we are proud to have Dr. Corrina Parsons, a certified acupuncture practitioner, available to our clients. She received her training and education from Colorado State University. Learn more about Dr. Parsons here! Could Your Pet Benefit from Acupuncture? Call to schedule a consult today.